Stephen Moyer is truly a renaissance man, he acts, he sings, he directs, he is a photographer and he loves English football, boxing and car racing. Its obvious that he enjoys experiencing everything that life has to offer and below represents what we know about his life interests outside of his acting career. Stephen and Anna started their own production company CASM, which is now shared with Mark Larkin and Cerise Hallam Larkin. So far the company has had three films in production, Pink Hotel, Civilianaire Boys’ Club and their film which will be officially be released in January, Free Ride. Stephen served as Executive Producer on Free Ride and we’re sure there will be more to come from him in this capacity. Stephen’s roots are in musical theater as you will know if you’ve read through the early parts of this biography. 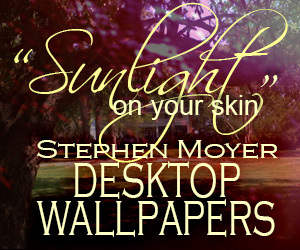 However, after being away from the stage and musicals in general, for over eighteen years, Stephen took on two musicals during the summer 2013 hiatus from True Blood. First he was in the Hollywood Bowl’s production of “Chicago,” which was a huge success for him. It was such a triumph that NBC hired him to be Captain Von Trapp in their LIVE production effort of The Sound of Music. 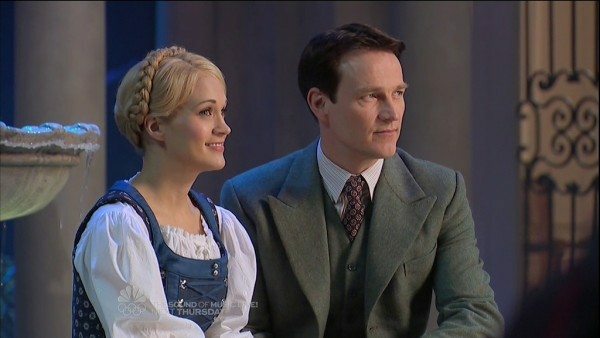 I was one of the 18.6 million households that tuned in to see Stephen play Captain Von Trapp in The Sound of Music on December 5, 2013. The ratings for the show prove how great it was and it was repeated on December 14 with an encore showing. Check out our page devoted to this musical (coming soon). Stephen has a real “love of humanity” in the sense of caring for, nourishing, developing, and enhancing “what it is to be human.” He supports several charities and we are proud to support the charities that he endorses. Facing The Atlantic is the daring project to raise funds for the humanitarian organization. Actor Bertie Portal (see our exclusive interview with Bertie Portal) and personal trainer James Cash, participated in the Atlantic Woodvale Race and row nonstop from the Canary Islands to Barbados in 2011. Bertie is a personal friend of Stephen and Anna and was also a close friend of co-founder of Facing The World, surgeon Martin Kelly. Stephen is dedicated to help his friends raise funds and spread the word about Facing The World. Duing the race, we raised almost $15,000 for the charity. Stephen has been involved with The Clare Foundation located in Santa Monica, CA and was just named as a member of the Board this past year. The CLARE Foundation is a nonprofit organization providing effective and compassionate treatment, recovery, and prevention services for alcoholism and substance abuse to individuals, families and the community. We are actively fundraising for Clare and have already raised close to $1000 for the charity in 2013. Brentwood Theatre is a small community theatre in Essex, UK. 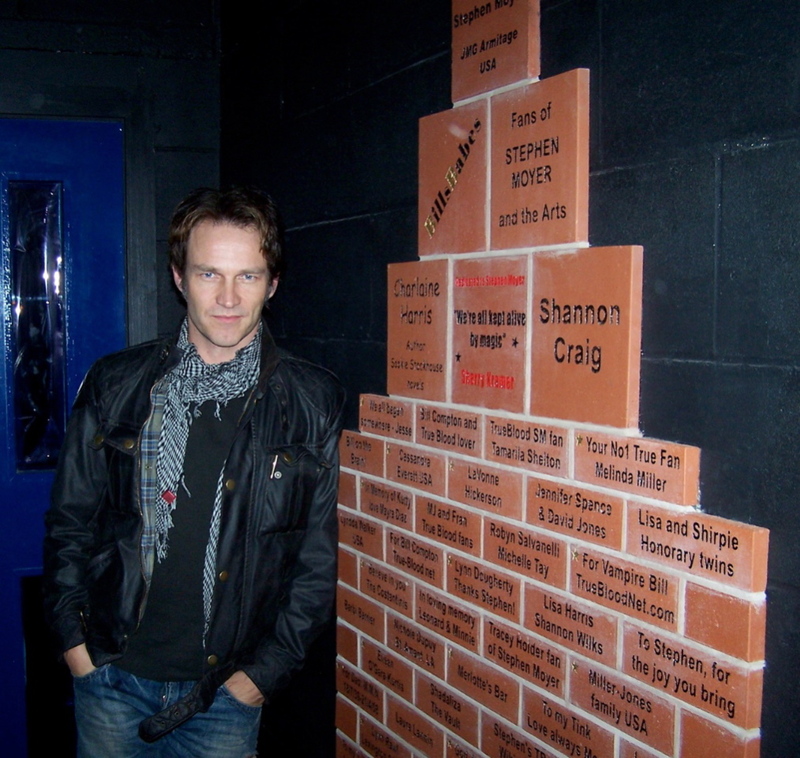 Stephen Moyer, born and raised in the Brentwood area, became the theatre’s first Patron in 2007. His initial effort as Patron was supporting the “Reaching Out, Building On” campaign to help fund the 2008 completion of the backstage facilities renovations. We actively supported this fundraiser by purchasing several bricks as a group and as individuals. The bricks can be found on a wall inside the theatre building. We have continued to raise funds for Brentwood by raising in 2011 and 2012 a total of almost $7000. 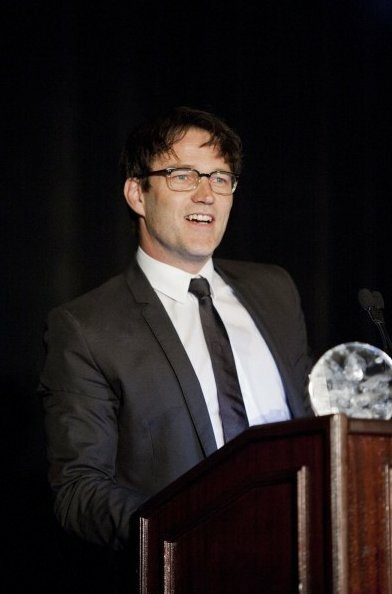 We all learned in Spring 2011 that Stephen Moyer has a real passion for car racing. You can read all about his interest in the sport by going to the special section we have here devoted to that effort. It’s been said that Stephen is an amateur photographer. We don’t have any samples of his photos to show you, but he talks about it all the time. He has recently been quoted as liking to get up early and go outside in Venice and take photos of the people sleeping on the beach. I’d love to see some of his work; maybe sometime soon we’ll get that thrill. Let’s hope! He appears to be a very likeable and a down to earth individual. He is known to be the “life of the party” and seems most considerate of others. He also has a great sense of humour and is a hilarious mimic. He is well read, an articulate and captivating writer, and loves Radio 4, making dens with the children and his dog Splash [Splash passed away spring 2013] on Hampstead Heath and taking them to ‘the best sausage roll shop in the world’. Known for his extensive collection of t-shirts. In earlier days he lived in a purple houseboat in London’s Little Venice section. He plays the ukulele and the piano, and skateboards. He enjoys the outdoors and loves dogs [he and Anna have two dogs, Splash (who has recently passed away) and Banjo] and is seen often on the streets of the west side of Los Angeles, CA either riding his bike with his daughter, swimming in the pacific, or out shopping and/or dining with Anna. He doesn’t want his life to become too different than it now is. He has commented recently that he and Anna still do their own shopping, etc. He loves boxing since his grandfather was a boxer and a coach and is currently training with boxer Freddie Roach.